Pure and simple and oh-so-elegant. One lustrous South Sea Shell pearl teardrop sits dramatically at the base of the neck, on a 16-18" 925 Sterling Silver Snake Chain, echoed by matching earrings. 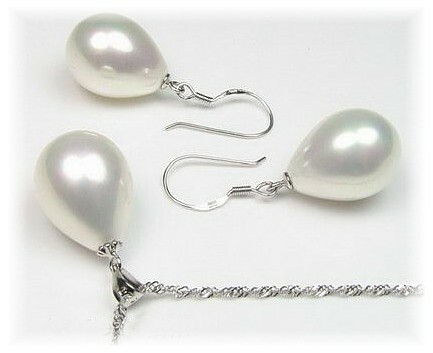 Size of pearl teardrop 12mm x 18mm Fittings: 925 Sterling Silver.